SYNOPSIS: As a girl prepares to go to college, she looks back on the story of her life. Her friends struggle with letting go and with the transitions they are facing in their own lives. Her boyfriend puts on a brave front, but how well is he able to handle the distance between them? A series of monologues and scenes that range from humorous to heartbreaking are woven together in this story of hopes and dreams and growing up. by Dennis Bush; Photo by Dan McKown. 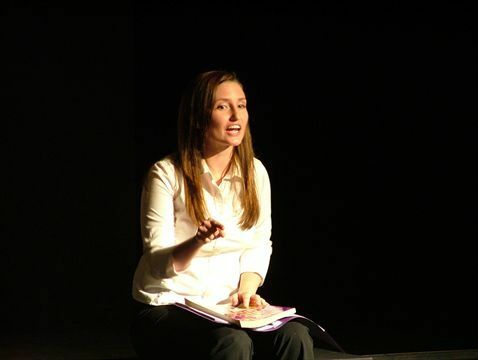 Kelsey Torstveit in original production. Photo by Dan McKown.